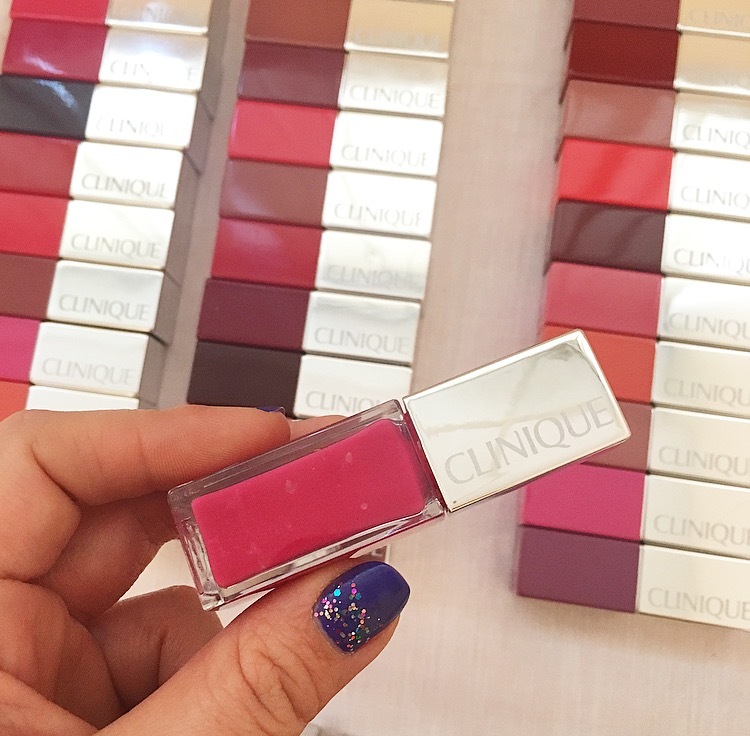 Last Thursday I went along to the Clinique Blogging event in Boots in Cardiff. I met up with my lovely friend Holly (TheKittyLuxe) beforehand and we went in together to meet the other bloggers and the lovely Laura who was hosting the event. We went upstairs, signed in and were taken into a room filled with all Clinique make-up and skin care! We each had an individual area including mirrors, cotton wool and sweets as well as fresh applicators and tissues to keep everything clean and hygienic! 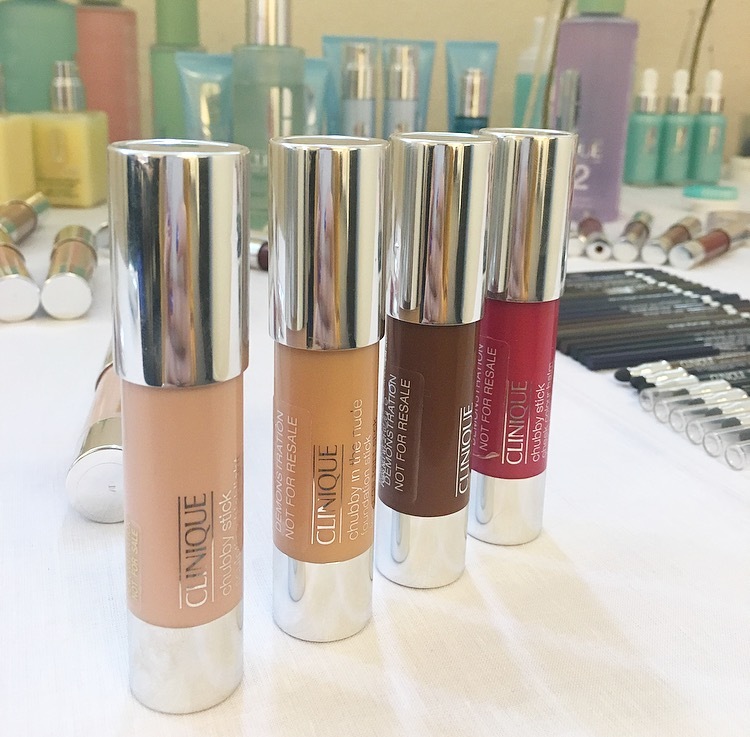 After we had all taken enough "Instagram worthy" photos we sat back down and had a chance to listen to Laura talk through the new products including the new chubby foundation sticks which I couldn't wait to get my hands on! Another product which stood out for me was the Clinique Sonic Brush which was only £75. Most sonic and face brushes at the moment are well over £150 so this could be a great place to start. We then moved onto answering a few questions about our skin and I ended being Skin Type 2 'Dry/Combination'. By doing this we then used the soap, lotions and moisturiser perfect for our skin type. This '3 step' skin care routine will definitely be something I will be investing in. I could feel how clean my skin was just using it that once, if you use Clinique's 3 step skin care please let me know what you think! I chose to take off all of my face make up using this 3 step routine, leaving on my eye make up and brows. You know how long brows take to do! Then we got to play! I tried on the Universal Face Primer first to prep my skin and then applied the Chubby Stick Foundation. This had great coverage, I think I applied too much to begin with because I didn't believe that a chubby stick would give as much colour as it did. Definitely a great foundation to travel with-no mess! I then also used the Chubby Contour Stick and Chubby Highlighting Stick. To be honest, I didn't think much to the contour stick. I wasn't however, using a great brush for contouring or blending so maybe that had something to do with it. The highlighter on the other hand, was gorgeous! It was so easy to apply and blended in nicely. At £19 it is a little pricey but I think this would be a great edition to anyones make up bag over Spring and Summer. What I really enjoyed about this event was not only being able to try on the products but actually being able to apply them ourselves. It's great having a make over by a make up artist but at the end of the day we are the ones who will be using the products so it was a fantastic opportunity and we definitely all made the most of it! I really enjoyed this event, it had a very relaxed atmosphere and Laura was a great host! Thank-you Clinique for inviting me along. I hope that you enjoyed this post, what is your favourite Clinique product and why?